Kolkata, Sept 1 (IBNS): The Communist Party of India (Marxist) has fielded a professor of Jadavpur University against West Bengal Chief Minister Mamata Banerjee in the assembly by-election from Bhowanipur. Mamata Banerjee, who defeated the Left Front in the April-May state election ending the 34 year long rule of the Marxists, is fighting the bypoll scheduled on Sept 25 from the Bhowanipore assembly seat to be elected to the state assembly to continue as the chief minister of the state. The Left Front nominated CPI (M) candidate is Dr. Nandini Mukhopadhyay and she is a professor in the Computer Science & Engineering Department in Jadavpur University. West Bengal PWD minister and Trinamool Congress legislator Subrata Bakshi has resigned from the Bhowanipur seat earlier to enable Mamata Banerjee to contest. Mamata Banerjee is an MP from Kolkata (South) seat, but not a member of the state assembly. A resident of Golf Garden in south Kolkata, Mamata's challenger Mukhopadhyay did her Ph.D. in 1999 from the University of Manchester, UK. She did her M.E. in 1991 from the Jadavpur University and her B.E. in 1987 from Calcutta University. Her research area is Parallel Computing, Grid Computing and Wireless Sensor Networks. 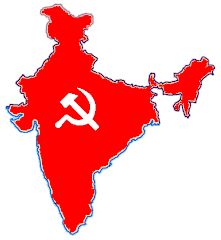 The CPI (M) candidate taking on a political behemoth like Mamata Banerjee, whose win is seen as a forgone conclusion, was associated with the left student movement. Meanwhile, CPI(M) has put up Subid Ali Gazi for the Basirhat (North) assembly constituency where a by-election was necessitated after the party MLA Mustafa Bin Kashem had an unnatural death at the city MLA Hostel soon after the election in May.